London Driving Schools in Staines TW18 provides quality driving lessons and courses in a friendly and cooperative learning environment in Staines Upon Thames Staines-upon-Thames including the Egham, Laleham, Stanwell and Wraysbury. Our driving instructors in Staines have developed a fast track driving course according to the standards of the (DVSA) Driver and Vehicle Standards Agency for new and beginner drivers. Firstly we start off getting you acclimatized to the vehicle on the quiet back roads of Staines. This will help improve the confidence of the learner with the basic steering and car controls. Bowes Road in Staines is a perfect place for beginners to first practice using the clutch, accelerator, brakes, gear changes, moving off and stopping. After you get to grips with the basics, your beginner driving lessons shifts on to the relatively busy roads around Staines in order to give you the taste of different roads, hazards, traffic and road layouts. We will then train you on the local test routes where you can try out T junctions, roundabouts and pedestrians crossings in order to make your lessons more productive, effective and practical. We strongly focus on two way learning and encourage our new driving students to ask plenty of questions. Our highly qualified instructors strictly follow DVSA standards and guidelines and train every learner as per their learning capability and or their individual driving needs. This is why more than 90% students of London Driving Schools in Staines pass their driving test at their first attempt, which is why we are renowned for providing top quality driving lessons in Staines. Why wait to enjoy the pleasures and freedom that driving your own car gives, join London Driving Schools in Staines TW18 branch for quality driving lessons within your budget and needs. LDS provides a range of driving courses and driving lessons in Staines Bridge and Staines Common, each carefully designed to help you achieve your driving licence in the quickest possible time. LDS Intensive Driving Courses, this course will enable you to pass your driving test in just 2 weeks time whilst ensuring you are fully confident in your abilities on the road. Refresher Driving Courses, ideal for those wanting to brush up on their driving skills if you have not driven for a while or are new to the local area. 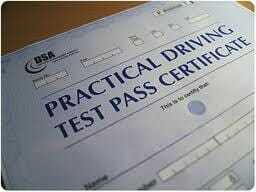 Pass Plus Driving Courses. to give you extra confidence once you have passed your driving test, along with substantial insurance discounts. Click here to find out more about the driving courses in Staines we offer driving courses in Staines we offer. Find the driving test centre near you in Staines. See our Testimonials to find out why you should be joining London Driving Schools in Staines. Taste of all types of road conditions, hazards and layouts during your lessons in Staines.